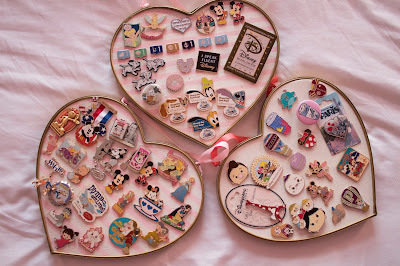 Sew Cute: Dose of Disney: My pin collection! 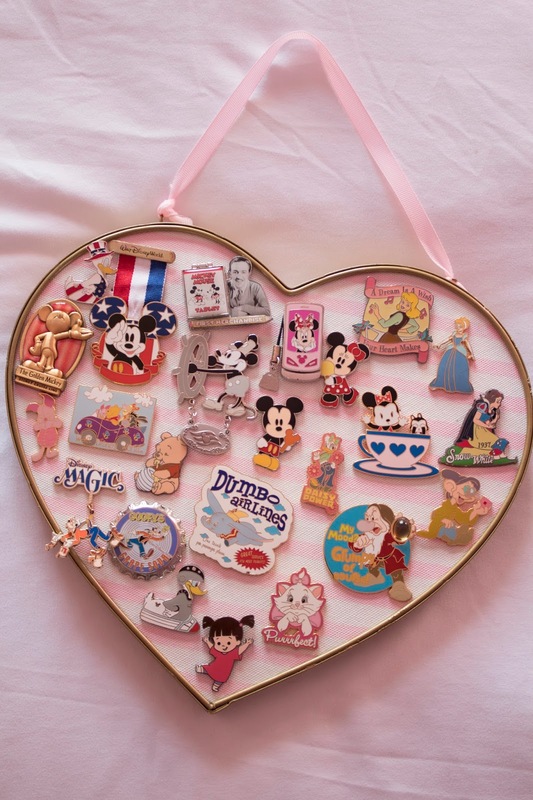 Over the years I have collected quite a few pins! 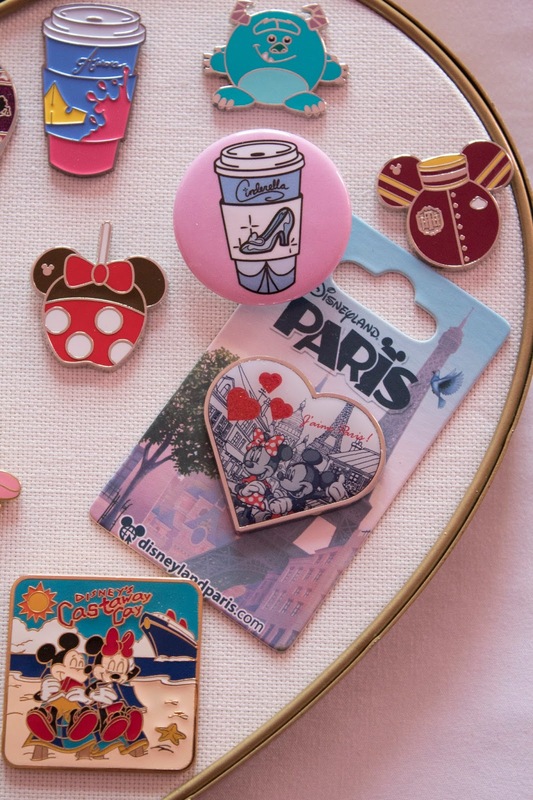 It wasn't until recently that pins and flair have become really popular in fashion and in the Disney community as well! So, today I wanted to share my Disney pin collection. This collection has been growing since my very first Disney trip, over 10+ years ago. But, some of these pins are from more recent trips of mine as well as some from small shops. This first pin board is my older pins. These include some form the parks as well as some from the Disney Cruise. 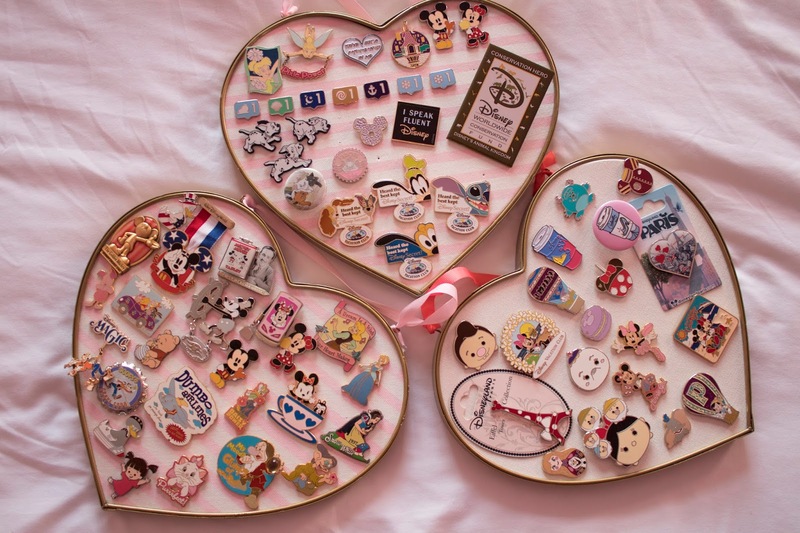 My favorite pins on this board are the ones I picked up from the Disney Magic ship on my first Disney Cruise. They had this great Golden Mickey pin which was based off of the stage show from the cruise. I also love my Marie purrrfect pin and the sassy Daisy pin! These were some of my first pins I ever got. This second pin board has a combination of a bunch of different pins! My Minnie Girl and Minnie ballerina pin, along with dumbo, are also some of my original pins from when I was a kid. Then I also have some pins from my Disney cruise including a Castaway Cay pin and a Disney Vacation Club cruise pin. Also on this board are my Disneyland Paris pins I picked up two years ago at the Disneyland Paris park. I picked these two pins because I thought they were very Parisian inspired! The coffee cup pins are from Casey and the Bear, aka Parkbound Buttons. 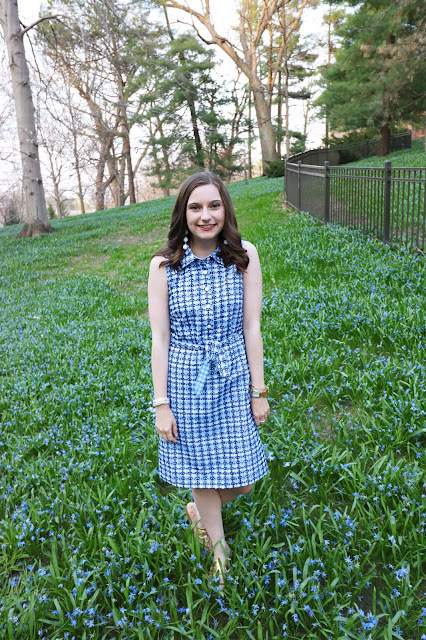 I love this collection she did! I also have pins from my most recent trip to Disney. I became into the mystery pin packs that Disney sells during my last trip! On this board I have some from a Beauty & the Beast pack, the hot air balloon pack, and a small pink mystery bag! Also, I have some pins I picked up on Ebay. If you are ever looking for a particular pin I highly recommend checking out Ebay. My last board of pins is more bare in comparison to the other boards! 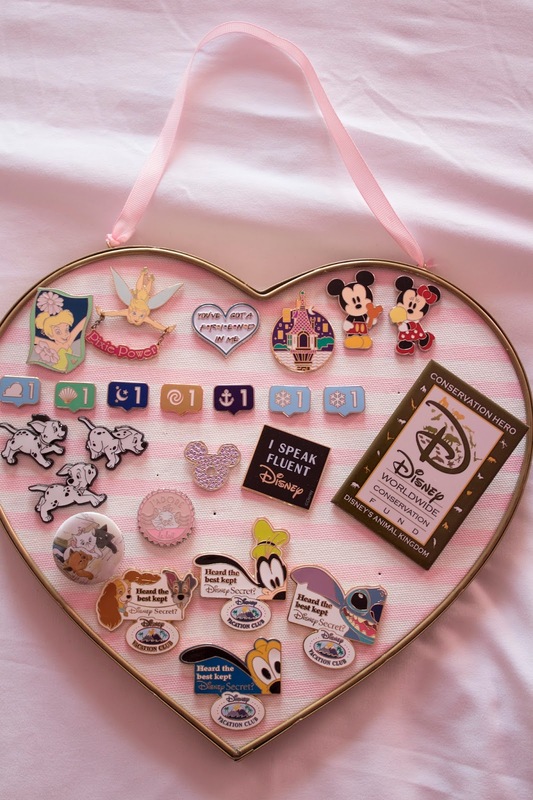 This board has some Disney Park pins, a lot of Jambo Joe magicgram pins, and some Disney Vacation Club pins (from forever ago). 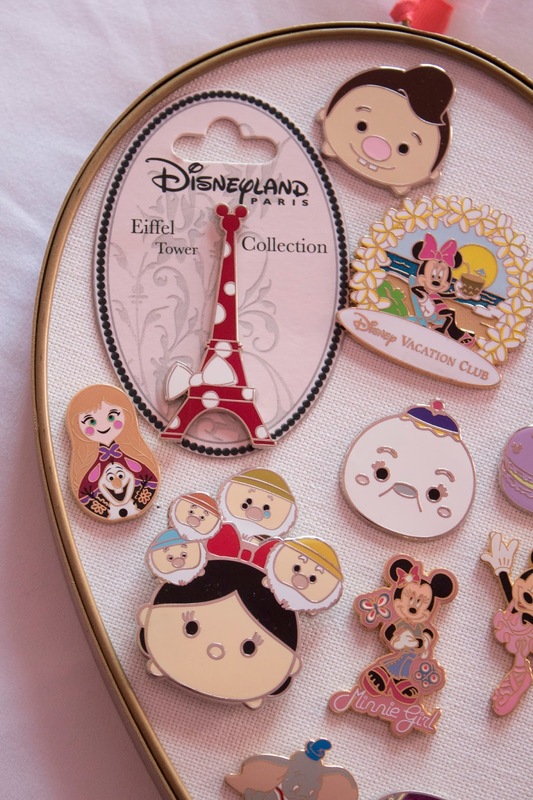 I also have some pins from some other small shops including Hazel & Bean and The Mermaid Harp. I keep these pin boards hanging up in my room to display all of my pins! These boards are from the Target dollar spot this past Valentine's Day. 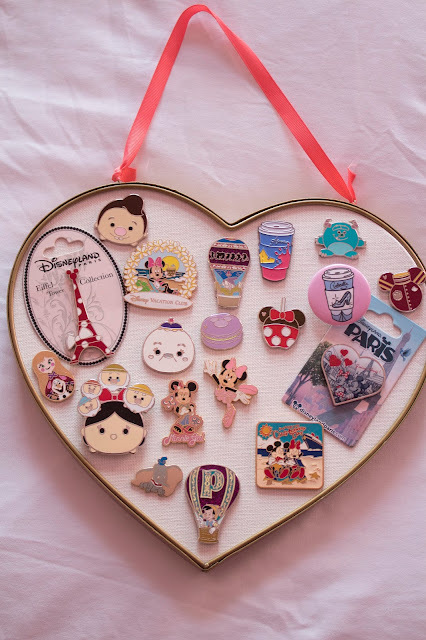 But, you can just use a normal cork board or other bulletin board to display your pin collection to achieve a similar look. Do you collect Disney pins or other flair? 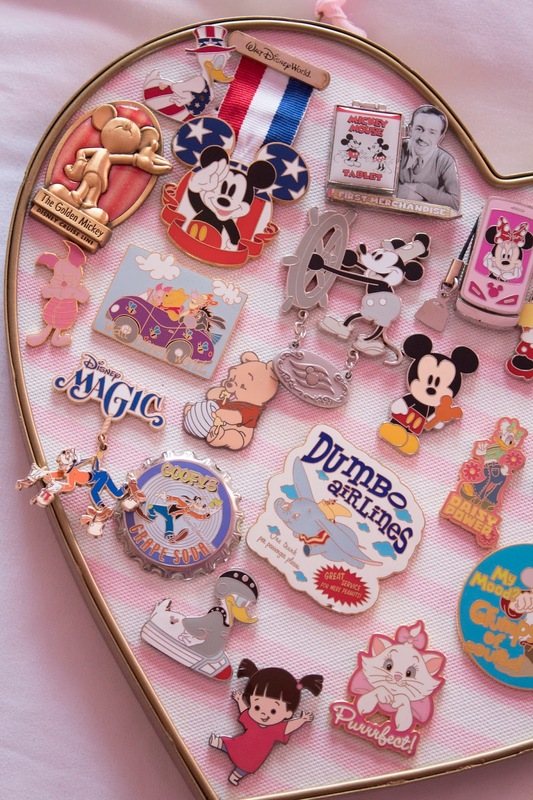 Let me know what your favorite pin is in your collection, or mine, in the comments below!